Holding a bad credit record doesn’t necessarily mean you’re a bad person. On the contrary, it’s evidence of rough times. And everybody deserves the opportunity to drive a good car no matter what the lending institutions think about their credibility. 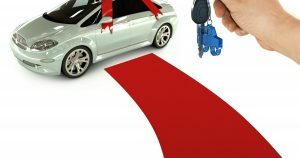 There are other reasons besides bad credit that could get your car loan application rejected. Sometimes, it can be bad timing, the looming recession, and even bad luck. But some experienced lenders have come up with the solution to this. Now, financially challenged people have the chance to drive off with their dream cars. Sound interesting? Here’s how to find one that works for you. Finding a “no-credit-check” lender is hard, but finding a good deal is even harder. So you need to ask around family and friends for unbiased lender reviews. By doing so, you’re looking for the lowest interest rate possible. Though they may not be kind to your wallet, this could be your only option if you really want that set of wheels. Having a luxury car may be your dream, but can you afford the monthly installments that come with it? Besides, there’re other additional costs like insurance, fuel and service. So, choose your options carefully. And if you have to drive that dream car – rent it instead. You’ll avoid disappointments and still enjoy the luxury you deserve. Let’s face it; loans can be pretty expensive when you have bad credit. So the idea is to save up as much as possible and use it as a down payment. That way, the interest rate will not be as much, so you can finish off the debt in a shorter period and get a good bargain while you’re at it.